Tyrion welcomes a guest to King’s Landing. At Castle Black, Jon Snow finds himself unwelcome. Dany is pointed to Meereen, the mother of all slave cities. 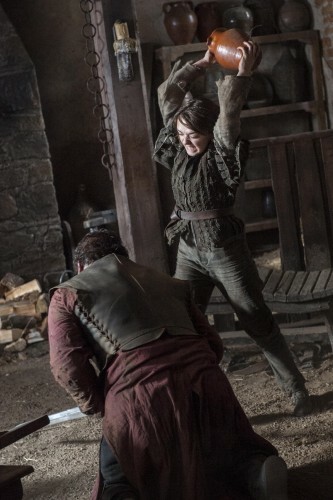 Arya runs into an old acquaintance.